The Delaware Supreme Court has ruled that a trial court improperly excluded expert testimony and has revived medical negligence claims against a doctor and a women’s health clinic. In October 2013, Amanda Norman had a laparoscopy performed by Dr. Christine Maynard at the All About Women health clinic. In this diagnostic procedure, a doctor examines a woman’s reproductive organs. According to court documents, there were no reports of complications, but Norman experienced pain immediately following the procedure. Norman went to the emergency room for treatment and found that her bladder had been ruptured. The rupture was attributed to the diagnostic laparoscopy. Norman filed a medical negligence suit against Dr. Maynard and All About Women. Maynard and All About Women have denied the allegations of negligence and said that a ruptured bladder is a known complication of that procedure. Norman retained Dr. Jeffrey Soffer, M.D. as a medical expert to testify on how Dr. Maynard breached the standard of care. Dr. Soffer is a board certified obstetrician and gynecologist who serves as an attending physician at the Department of Obstetrics and Gynecology at Overlook Hospital in Summit, New Jersey. Dr. Soffer has performed hundreds of laparoscopies throughout his career. The Superior Court concluded that the third factor, “the expert’s opinion is based upon information reasonably relied upon by experts in the particular field,” requires an expert’s opinion to be based on medical literature or other peer reviewed publication. That conclusion is inconsistent with the general consensus that standard of care opinions may be based on an expert’s experience rather than studies that may never have been conducted. 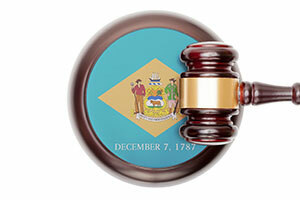 The Delaware Supreme Court reversed the Superior Court’s ruling. The court noted that an expert may qualify by skill, experience, knowledge, training, or education and that a medical negligence expert must be “familiar with the degree of skill ordinarily employed in the field of medicine on which her or she will testify” to give a standard of care opinion. The Delaware Supreme Court stated that Dr. Soffer’s testimony, when considered as a whole, was sufficient to establish the standards of care, Dr. Maynard’s deviations from those standards, and the injury that those deviations cased to Norman. This decision returned the case to Superior Court for further proceedings.